I have transcribed two of the Trunch School Logbooks which cover the years from 1877 - 1914. See below for links to the full transcripts. Click here for information about the school building. The school was a Church of England one and the vicars were frequent visitors and often taught scripture. The Reverend Kimm was very involved in running the school for most of these years; so much so that in 1909 he ordered the Mistress not to use books of fairy tales, that had been provided by the Norfolk Education Committee, and provided other books instead. Other visitors were recorded in the book almost every week and mostly consisted of local farmers and their wives and daughters. Occasionally they gave a lesson or heard the children read or sing and on two occasions a Miss Johnson gave every child an orange. Most of the entries relate to attendance, with many references ​to bad weather causing a dip in attendances. In several of the years deep snow prevented many children attending. Other reasons given for absence were illnesses, including whooping cough, mumps, chicken pox, scarlet fever, ring-worm, typhoid fever, and measles, or children attending fairs, Club Feasts, harvest, haymaking, collecting acorns or illegally working. The school attendance officer visited occasionally and followed up on poor attenders, with some parents being prosecuted. On several occasions the school was closed for a few weeks because of a measles or scarlet fever epidemic. A variety of staff taught at the school but all were women during these years. Monitresses (local girls who helped the teacher) were mentioned a lot in the earlier years, particularly when they had time off. As the school had between 50 and 90 pupils it must have been hard for the Mistress to manage on her own and in 1880, the new teacher - Susan Whitworth, complained bitterly that she did not have enough help. Later on the school had a Pupil Teacher as well as a specialist infant teacher for a time. There was a major staffing issue in 1903 when the managers appointed a Miss Morgan, seemingly without the involvement of the Mistress, Miss Lloyd, who complained about her lack of discipline, so much so that Miss Lloyd resigned in 1904, when a temporary County Inspector took over and the older children were transferred to Knapton & Gimingham schools. Several instances of bad behaviour and punishment were mentioned with the names of some boys coming up repeatedly. Some children were caned but children were also kept in at lunchtime, sent home and one boy "had to be locked up twice". The worst offence was in 1882 when James Dixon assaulted the Mistress - Elsie Knight, as she was caning him, for rubbing the sums off a girl's slate. He appeared at North Walsham petty sessions and was fined 5 shillings. In 1883 the Committee (board of governors) passed a resolution that "no corporal punishment be inflicted except in cases of gross insubordination". However in June 1883 Arthur Lark was caned for tearing a new book and in May 1887 Lucy Frary was also caned for insubordination. Boys throwing stones seems to have been a fairly common misdemeanour. The curriculum was a very strict timetable which had to be adhered to, with any variations recorded. Reading, writing and arithmetic were the basics with singing, geography, history, physical drill, drawing, needlework and knitting all mentioned as variations. Home lessons were set and the children were frequently examined by the teacher and local and national Inspectors. From 1884 there are lists of the songs that the children were taught and some of the object lessons for infants which included the elephant, the clock, the shoemaker and the breakfast table. Click here for a link to the Standards that were examined. The holidays were short, do not appear to have been planned far in advance​ and were adjusted according to circumstances, such as a late harvest. In 1882 it was recorded that only 39 out of 93 children attended school on Shrove Tuesday as it was "held by the villagers as a general holiday". In summer a half day holiday was given as the children went to Mundesley for a treat. Some special events are marked such as the death of Queen Victoria in ​1901 "Today we heard the sad news that our beloved Queen died last night" and the end of the South African War in 1902. The inspectors reported that the school was overcrowded in the early 1880s and by 1896 the Inspectors hesitated to give the grant because the accommodation was so poor. A gallery was built in 1883 to give the infants more space but the Inspectors were not happy with it and it was removed in 1911. 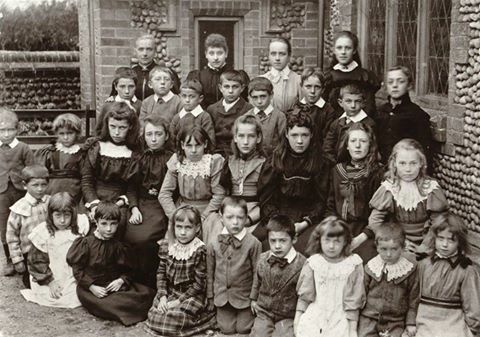 The situation was relieved somewhat when the older children were sent to Knapton & Gimingham schools in 1904 and when the new school opened at Mundesley in 1908. The children over 8 years old had to walk to these schools everyday unless they had a medical certificate, saying that they were unable to do so. 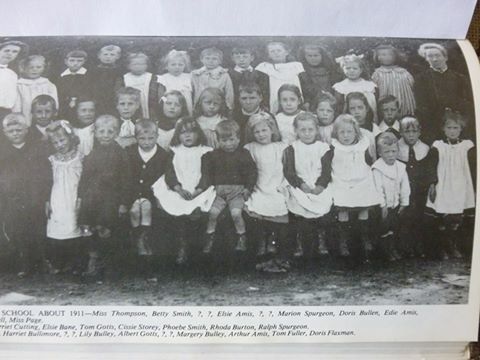 By 1914 Trunch school only had 33 pupils all aged under 8.